Depending on your travel plans and ideas, you can visit Kyrgyzstan all year round, but the usual tourist high season is summer. 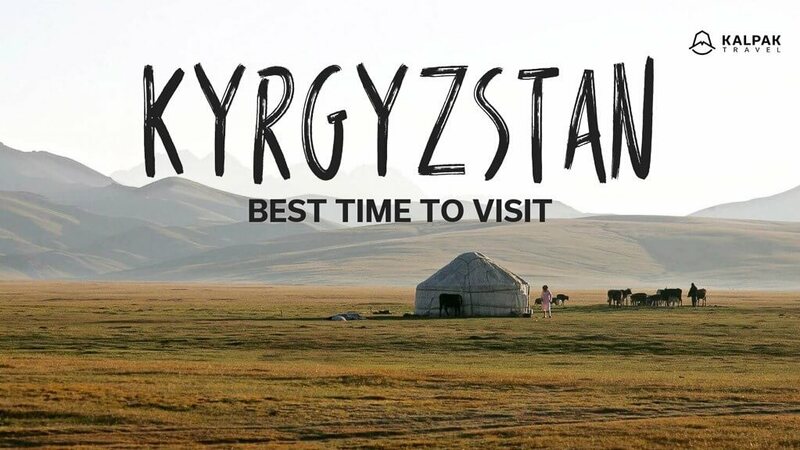 Highlights of Kyrgyzstan definitely include going to the mountains and going out of the cities, thus the best time to visit is July and August. 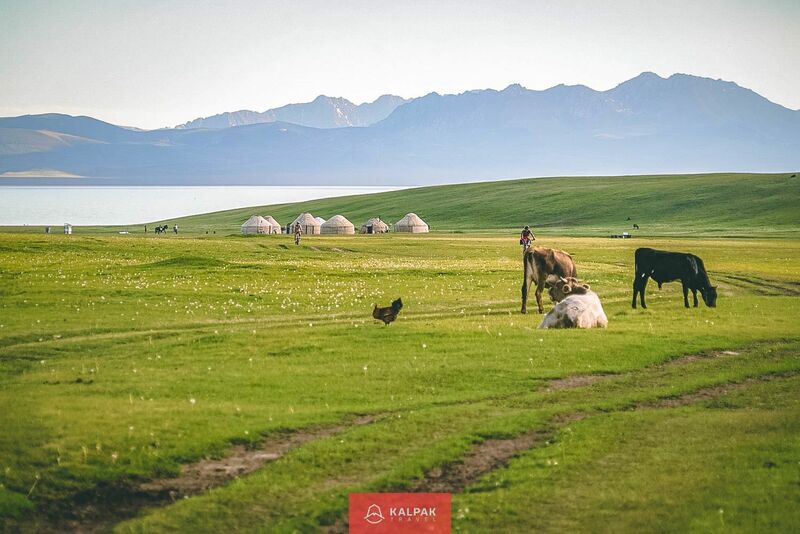 It is the time when summer pastures are full of yurts, fruits and vegetables are ripe and the weather is warm. It is also an ideal season to go for day hikes or do multi-day trekking or mountain biking. Semi-nomads of Kyrgyzstan go to mountain summer pastures during school holidays which lasts from the end of May to the beginning of September. In this period, families take their kids and grand kids with them and set up several yurts. Some yurts they offer as a yurt stay for tourists. Larger yurt camps that belong to local tour companies stay from mid-May to mid-September. If you are not planning to go to altitudes above 2000 meters, it can be very hot in summer. For example, cities like Bishkek and Osh situated at an altitude of around 900 meters above sea level can have temperatures above 40°C. 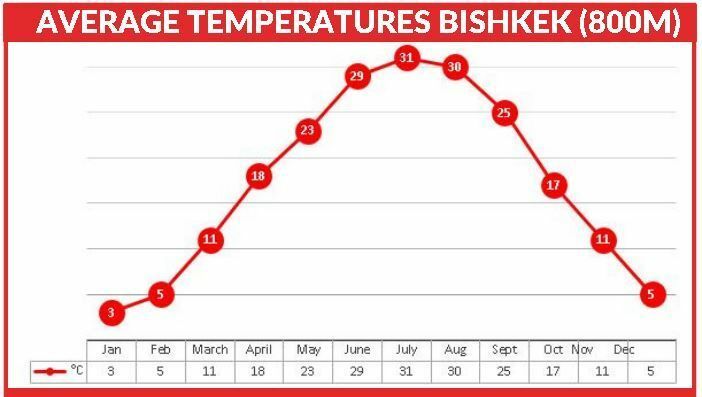 Here you can see average high temperatures in Bishkek. Another popular destination in summer is lake Issyk Kul. It is popular among locals for beach holidays and its north shore has numerous beach resorts. 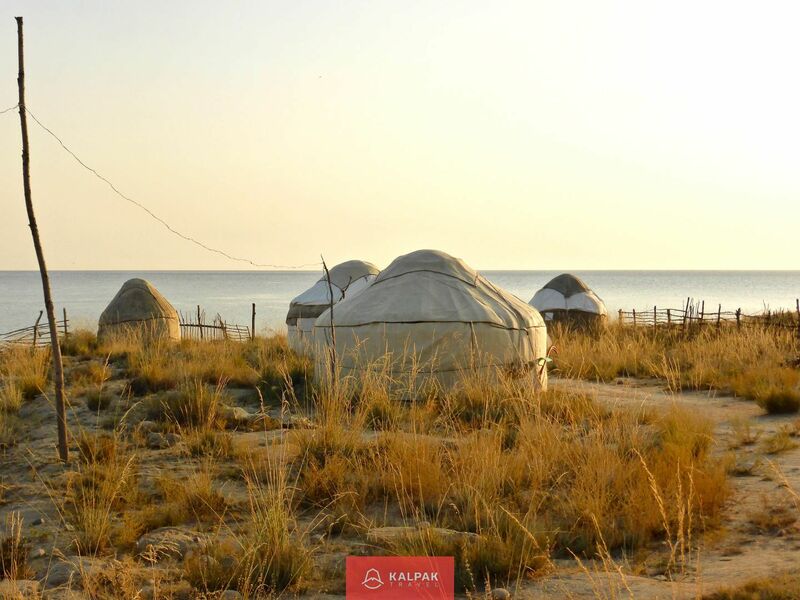 Its south side is popular among international tourists and offers yurt stays at the shore. 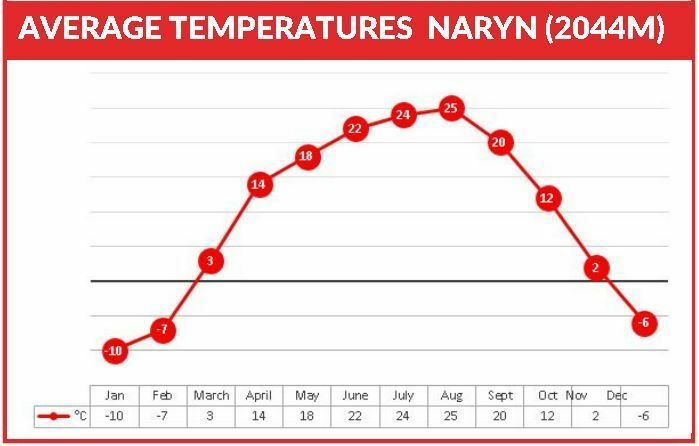 Summer is generally very dry season in Kyrgyzstan with a low amount of rainfalls. Winters in mountains are cold and snowy which is perfect for skiing. Kyrgyzstan has several skiing places with lifts and also offers great opportunities for a free ride. Because of heavy snow, some roads are closed in winter. 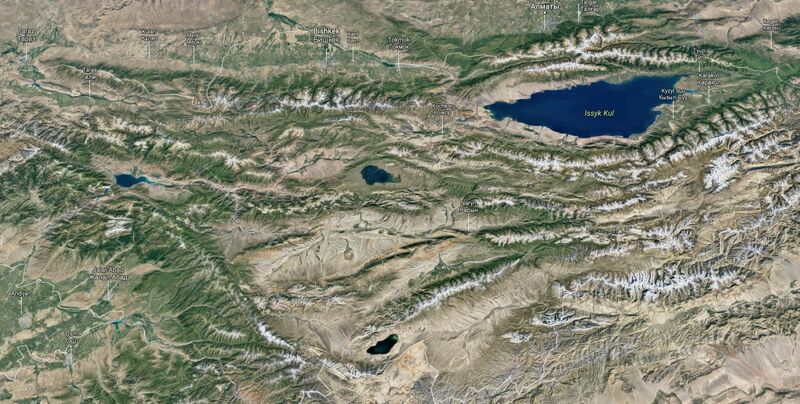 The climate of the Kyrgyz Republic is greatly influenced by its distance to the oceans and therefore has a continental climate. There is no large source of water that could influence the weather. In other words, Kyrgyzstan is a landlocked country and has hot summers and cold winters. Another factor influencing the weather and the climate is its physical geography. 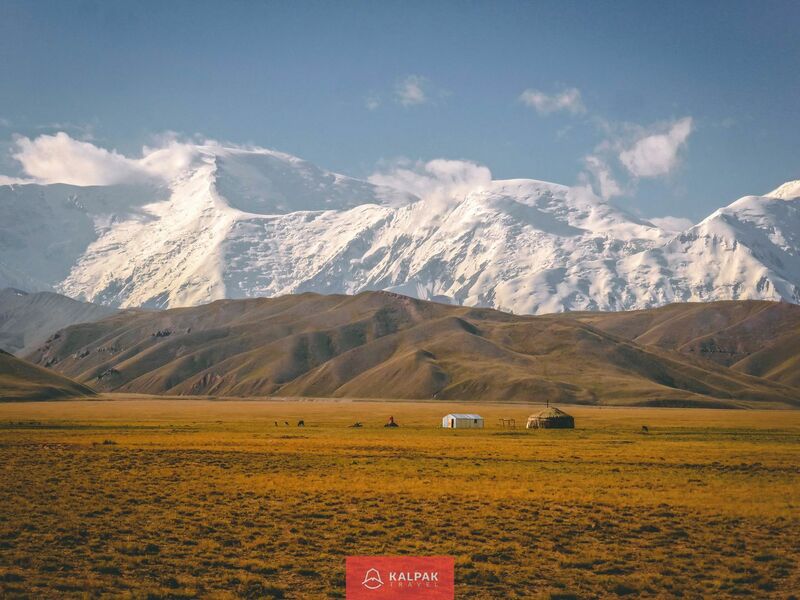 Kyrgyzstan is a mountainous country with 3 peaks reaching over 7000 meters with glaciers all year round. The largest body of water Issyk Kul softens the harsh continental climate and has less extreme temperature fluctuations. Two largest cities are located in low altitude valley and have hot summers. 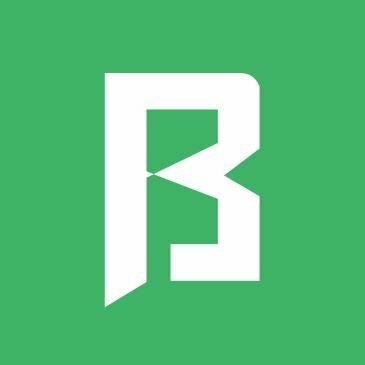 Bishkek is located in Chui valley and Osh is in Ferghana valley. 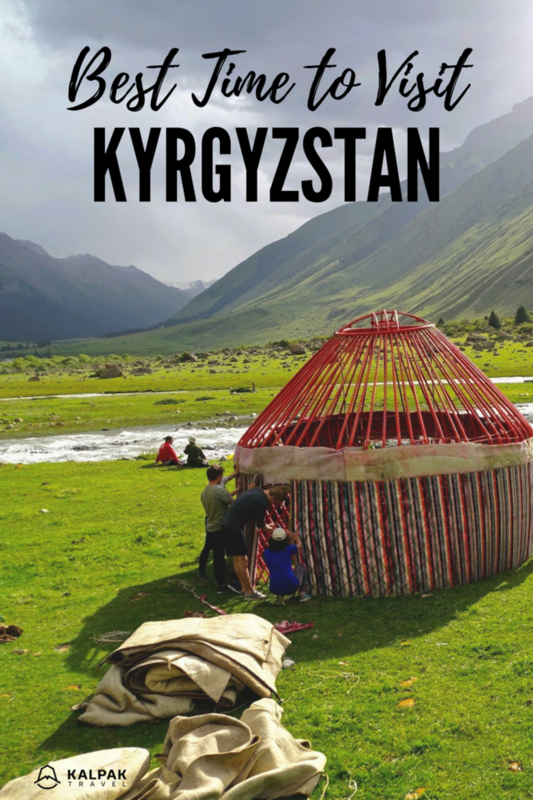 If you would like to visit Kyrgyzstan, we’ve got several tours that you can choose from.